New Melbourne Browncoats, Inc. | Got a question for OzComic-Con’s Whedonverse guests? Ask Us Now! Got a question for OzComic-Con’s Whedonverse guests? Ask Us Now! Thanks to the team behind Oz Comic-Con, we’ve got the opportunity to have some one-on-one time to interview their wonderful Whedonverse guests – Sean Maher, Fran Kranz, Julie Benz, Scott Allie and Jason Palmer. And we’d like to share this with you! We’re looking to you for questions… so if you’ve got something you’d like to ask, let us know! Questions could be for one guest or for all. To share a question, just comment on our blog or our facebook page, send us a tweet @melbbrowncoats or email promotions [at] newmelbournebrowncoats.com. Questions must be received by Wednesday 27 June. 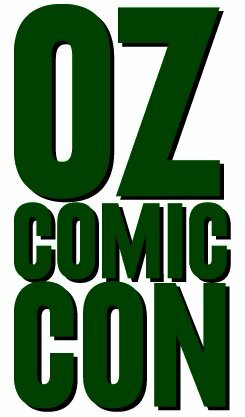 Don’t forget that Oz Comic-Con is this weekend! Tickets are on sale now or available at the door. One Response to Got a question for OzComic-Con’s Whedonverse guests? Ask Us Now! Collective question to all 3 if possible. When reading or choosing a new script to audition for, what’s one thing you look for in the characters you might want to play?